Manufacturing is at the heart of the global economy. It accounts for about 30% of global gross domestic 1 , with the US and China both contributing more than US$2 trillion2 to the world economy each year from their manufacturing activities. Today, however, manufacturers everywhere face an environment that is being reshaped by technological shifts, economic uncertainty, and fast-changing consumption patterns. The world's top manufacturing nations have responded with strategies that seek to build on their traditional strengths and help them to remain competitive as conditions change. Germany, most famously, has Industry 4.0. China's equivalent is Made in China 2025. Korea has an initiative named Manufacturing Industry Innovation 3.0; the UK's policy vision is Industry 2050; and France has Industry of the Future. In the US, efforts to modernize manufacturing and distribution are being driven by the private sector, which has come together in the Industrial Internet Consortium. All of these approaches share a common core: intelligent manufacturing. With continuous change destabilizing the competitive environment, it is now harder for manufacturers to create value through traditional business models. Customers today have more options and less brand loyalty than ever. Demand is diversified and volatile. Markets are also more competitive and fast-paced, with just-in-time business models. Meanwhile, rising wages and other costs add further complexity. Flexible manufacturing based on digital technologies is now becoming the norm. 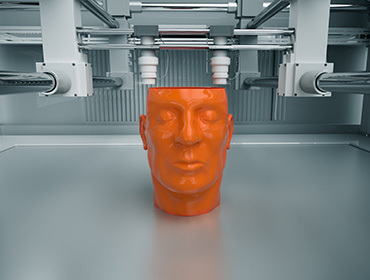 Intelligent, connected systems enable machines and humans to collaborate on "mass customization", where factories maintain the efficiencies of mass production while quickly creating personalized products for highly specific customer needs. Manufacturers are also beginning to extend their after-sales service and increase customer engagement. With an ecosystem of equipment, devices, and sensors communicating in real time, manufacturers are empowered to create exceptional customer experiences and build long-term relationships with users. While seeking to improve agility and responsiveness, these new business models also bring their own challenges. Production costs continue to escalate, with raw materials, labor, and energy now more expensive worldwide. The need to meet stringent environmental regulations adds to the challenge. Instead of moving production to lower-cost locations, siting production hubs closer to markets and investing in intelligent manufacturing technologies are seen as more sustainable solutions. Unfortunately, many manufacturers, especially those with tight margins, do not have the capital budget to put this into practice. Intelligent manufacturing is about much more than technology adoption. It touches on all aspects of the production process including human capital, quality control, environmental issues, and more. Intelligent manufacturers need to find the right balance: between using existing talent and new technology; between outright profit and impact on the environment; and between ensuring that workers are supported and giving them opportunities to upgrade their skills. 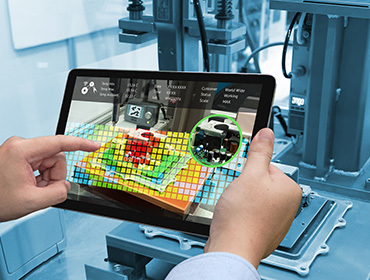 The transition to intelligent manufacturing requires that companies combine advanced operations and information technologies to enable collaborative design, virtual simulation and data-driven planning and analysis. This demands visibility and information sharing between all parties in the supply chain, from factory floor to distributor, dealer, or retail outlet, with synchronized processes and zero inventory. However, this is difficult to achieve, as data tends to exist in silos in traditional manufacturing systems. The machine-to-machine (M2M) and machine-to-human/human-to-machine (M2H/H2M) communications necessary for intelligent manufacturing are also beyond the capabilities of legacy IT infrastructure. Predictive maintenance is a case in point. It boosts productivity by avoiding the need to shut down plant and equipment to fix failures or for unwarranted routine maintenance. But to accurately predict when maintenance is necessary, data about in-service equipment and actual operating conditions must be available and analyzed in real time. This data must also trigger field mechanics' work orders and spare parts inventory management and ensure that regulatory requirements are being met. Commitment and vision from the C-suite is essential if companies are to make the most of the potential of intelligent manufacturing. Leaders may not understand what is possible, or they may doubt that intelligent manufacturing technology is applicable to their industry or at the scale of their operations. Some may see this as an IT issue, rather than a strategic concern. What capabilities do manufacturers need to develop and meet their business objectives in an era of smart manufacturing? Investing in intelligent manufacturing helps companies move up the value chain and be more flexible, productive, and competitive. A key shift is the switch from traditional servers to cloud-based business models. The cloud provides the vast, agile, and open computing and data storage resources needed for cost-effective intelligent manufacturing, ensuring compatibility so that enterprises can work closely with diverse partners throughout the value chain. In a manufacturing setting, the Internet of Things (NB-IoT) enables efficiency improvements, as when combined with industrial robots and connected equipment, and supports the development of new business models based on after-sales service. 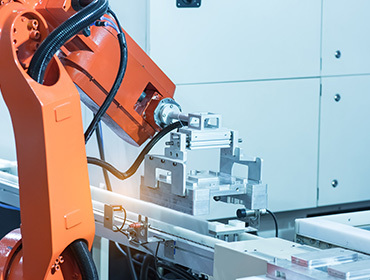 In-factory networks, such as today's Narrowband-IoT and upcoming 5G cellular communications, will help manufacturers connect people and machines in human-machine networks to revolutionize the way factories work. Deploying artificial intelligence and machine learning will let them precisely control equipment, sensors, robots, and other systems in real time, and generate actionable insights from their data. Building a digital factory demands open-minded leaders with a long-term perspective. Managing change and motivating others with a vision of the future are essential skills, as the intelligent manufacturing journey can be unpredictable. The leaders of tomorrow must be curious and have a passion that creates a forward-looking corporate culture. Without these attributes, longer term competitiveness will prove elusive and get lost in the drive for immediate results. Intelligent factories will optimize their organizational structure to improve productivity and minimize costs. They have exactly the size of workforce they need, with an emphasis on hiring and training people with IT-relevant skills. The employees of the future will be tech-savvy and multi-talented. New IT and communications infrastructure will require less energy, and will be cleaner and more efficient than traditional technologies, leading to less impact on the environment. Small and medium enterprises (SMEs) account for the majority of businesses in the European market. Huawei produces several thousand different products, including mobile phones and laptops for the consumer market, Wi-Fi routers for home use, and wireless base stations for telecom carriers. GlobalFoundries is a global semiconductor leader, with 10 foundries around the globe, including six in Singapore.